In the epic clash of Greece and Persia, a hero is forged - the monumental new novel from the author of the Tyrant series. Arimnestos is a farm boy when war breaks out between the citizens of his native Plataea and their overbearing neighbours, Thebes. Standing in the battle line, he shares in a famous and unlikely victory. But after being knocked unconscious in the melee, he awakes not a hero, but a slave. Betrayed by his jealous and cowardly cousin, the freedom he fought for has now vanished and he becomes the property of a rich citizen of Ephesus. 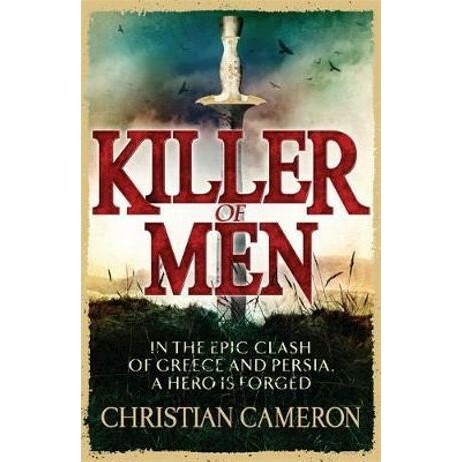 Christian Cameron is a former US Naval Intelligence officer and the co-author, with his father, Ken Cameron, of the acclaimed Gordon Kent military thriller series, as well as the TYRANT and KILLER OF MEN series. He lives with his family in Toronto.